This photograph of the restored amphitheater in Pompeii was taken during a visit to the town destroyed by Mt. Vesuvius. The uncovered ruins provide a stunning look into the life of ancient Italy. The setting is both beautiful and stunning from an architectural perspective and sad and terrifying from a historical perspective. 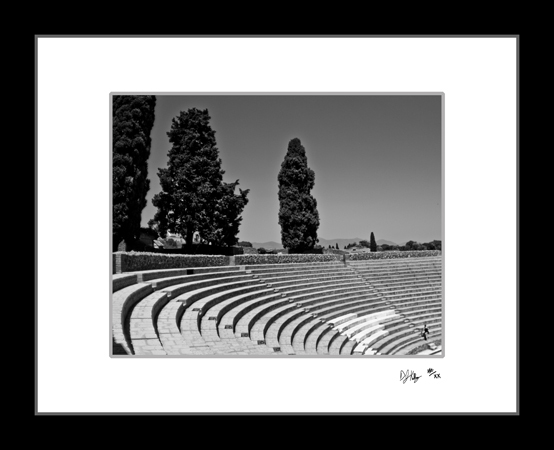 This black and white photo shows the amphitheater in the condition it was before Vesuvius erupted.